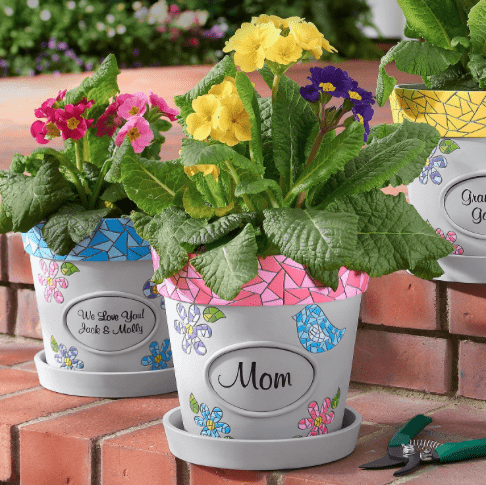 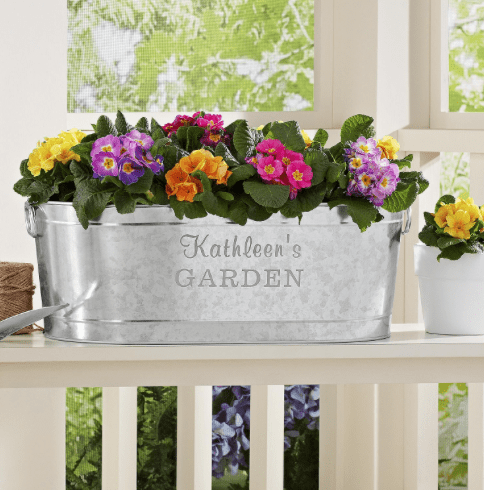 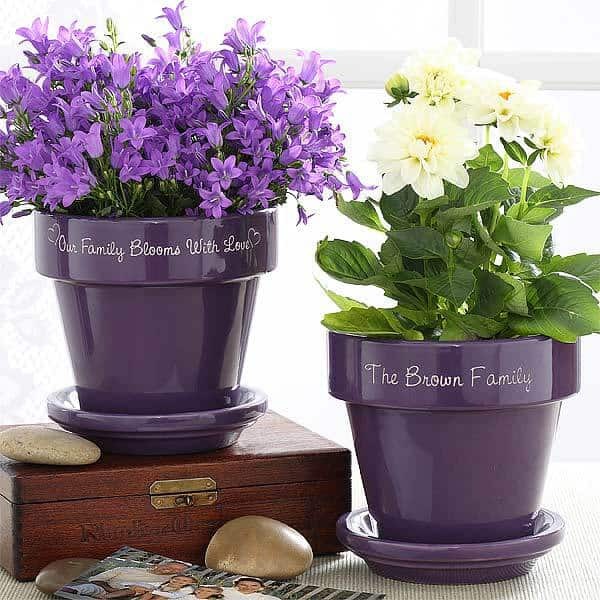 Showcase a blooming plant in this sweet personalized flower pot. 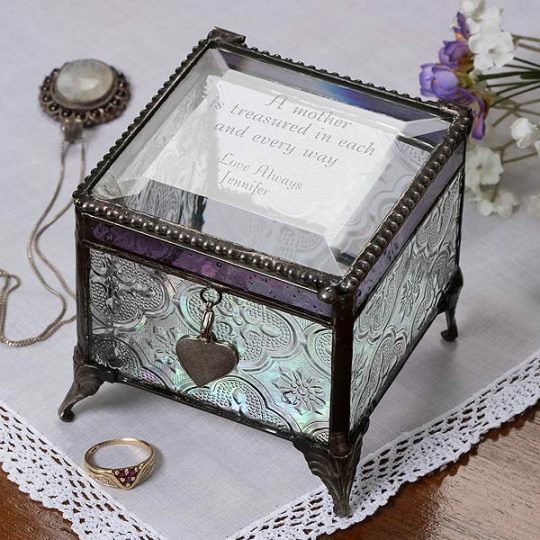 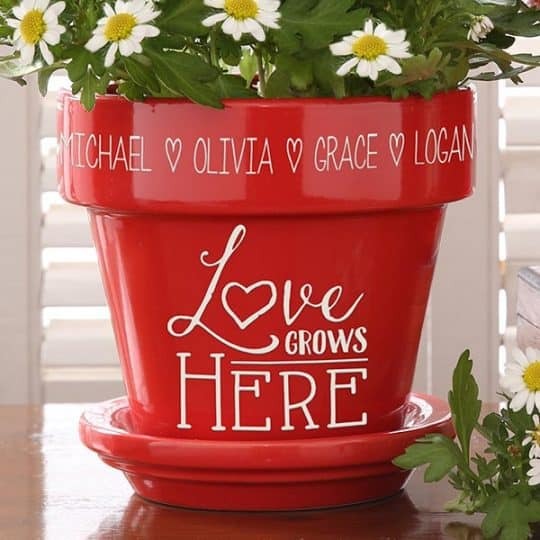 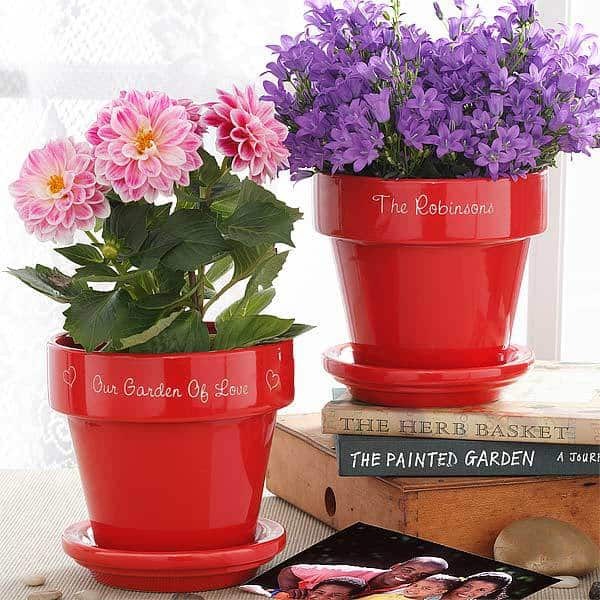 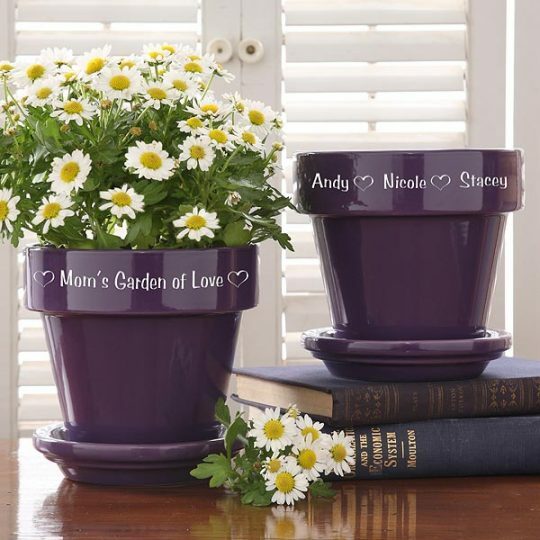 Bright purple or red ceramic flower pot will be delicately personalized with your family name on the front surrounded by our precious heart design. 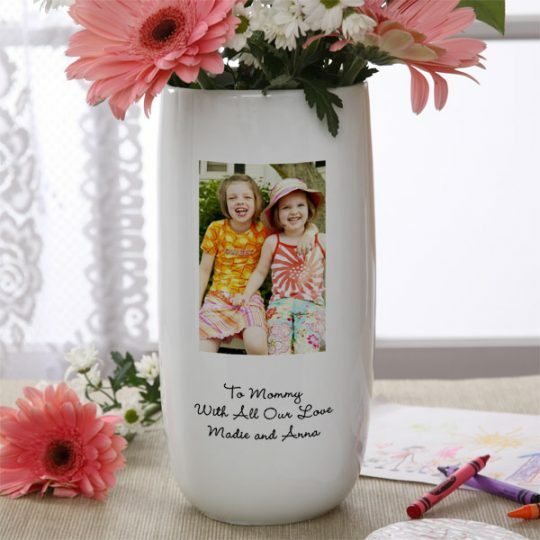 Add your own special message (i.e. 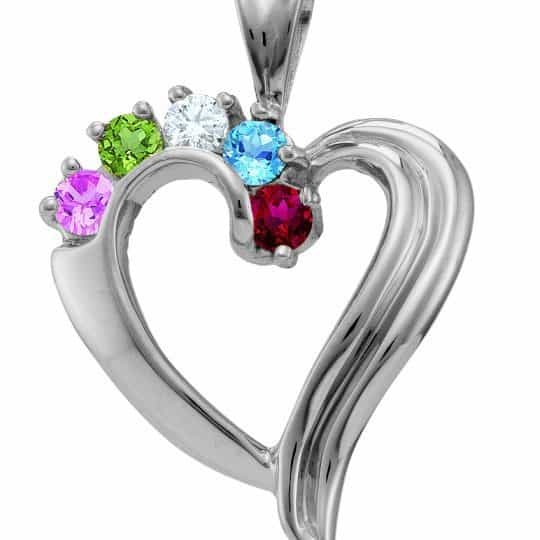 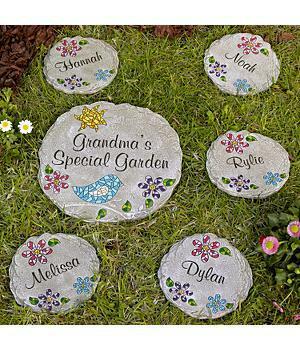 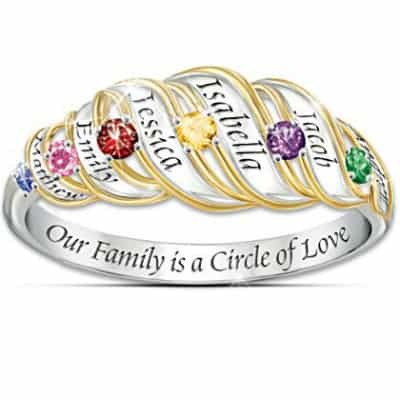 Our Family Blooms with Love, Our Garden of Love, etc) to create a gift that will be treasured for years to come!